The season includes extended runs of two of her best-loved films, George Cukor’s The Women (1939), which zings with whip-smart dialogue and ruthless high-society politics, and Mildred Pearce (Michael Curtiz, 1945) for which Crawford famously received her Best Actress Oscar in bed, blaming her absence from the ceremony on sickness. Both films will be re-released in selected cinemas across the UK by Park Circus on Friday 17th August and play on extended run at BFI Southbank. Other key films in the season will include Crawford’s first A-list talkie Grand Hotel (Edmund Goulding, 1932), The Bride Wore Red (Dorothy Arzner, 1937) opposite her then-husband Franchot Tone, Nicholas Ray’s Johnny Guitar (1954) in which she plays a strong-willed saloon owner who is wrongly accused of murder, and the box office hit What Ever Happened to Baby Jane? (Robert Aldrich, 1962), the film which last year provided the back-story for the critically-acclaimed TV drama Feud starring Jessica Lange and Susan Sarandon as Joan Crawford and Bette Davis. One of Crawford’s earliest roles was in Tod Browning’s The Unknown (1927) about a criminal who becomes obsessed with Crawford’s Nanon, the daughter of a circus ringmaster, who is a neurotic beauty crippled by anxieties. In Mannequin (Frank Borzage, 1937) Crawford plays ambitious Jessie who longs to escape from the poverty and squalor of her family; when her new husband turns out to be just as penniless as herself, the newlyweds turn their gaze on a self-made millionaire played by Spencer Tracy, who has developed a liking for Jessie. Crawford stars opposite Clark Gable a number of films, including the delightful pre-code musical Dancing Lady (Robert Z Leonard, 1933), Strange Cargo (Frank Borzage, 1940) about convicted prisoner who tries to corral a saloon girl into helping him escape from a penal colony and Possessed (Clarence Brown, 1931) about a factory girl who impulsively moves to New York and meets a divorced attorney played by Gable. In A Woman’s Face (George Cukor, 1941) Crawford plays a facially disfigured and bitter ringleader of a gang of blackmailers; Crawford forwent her glamorous screen persona to be taken seriously as an actress in Cukor’s remake of the Swedish original starring Ingrid Bergman. Humoresque (Jean Negulesco, 1946) sees a talented but troubled violinist (John Garfield) fall in love with married society lady Helen (Crawford), and they embark on a tempestuous romance marked by passion, jealousy and fits of rage. As a self-centred, acid-tongued socialite, Crawford was once again at the peak of her powers and settling into the melodramatic roles that rekindled her career. Also screening will be one of Otto Preminger’s least-known films, Daisy Kenyon (1947), an emotionally turbulent melodrama about a love triangle between three complex characters, and Harriet Craig (Vincent Sherman, 1950) about a woman who is, underneath an impeccable suburban façade, a manipulative, neurotic and obsessive perfectionist that lies and bullies everyone around her. In the latter part of her five-decade career she continued to reinvent herself, and developed partnerships with genre-friendly directors like Robert Aldrich and William Castle, becoming a late-career scream queen with What Ever Happened to Baby Jane? (Robert Aldrich, 1962), Straight-Jacket (William Castle, 1964) and Saw What You Did (William Castle, 1965), which will all screen in the season. 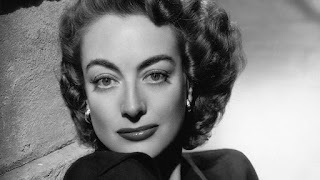 Obsessive stalkers, robbers, cheaters, bullies, divas, murderesses, manipulative socialites; Joan Crawford has played them all. Throughout her career she thrived on roles of complicated and unlikeable women, pushing the envelope as her Hollywood clout grew. From her early years as a flapper during the silent era to her middle-age melodramas and late-career genre resurgence, Joan Crawford was a cinematic chameleon who always dominated the screen with her formidable presence.